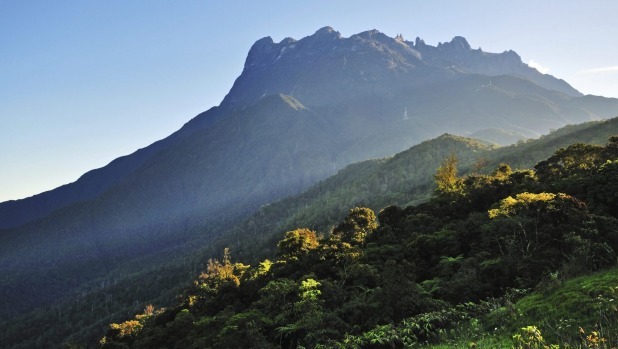 The tourists are being held in Malaysia for making ‘mountain spirits mad,’ sparking the deadly Mount Kinabalu quake that killed 16 people. Tan Sri Joseph Pairin Kitingan, the deputy chief minister of the state of Sabah where the quake was centred, has condemned the uncivilised and disrespectful actions of the tourists. He called for the culprits to be brought to a native court and charged according to local customs. RT reports: Friday’s 6.0-magnitude tremblor, centered in Malaysia’s Sabah state, stranded more than 130 climbers from 16 countries on the Mount Kinabalu. The UNESCO World Heritage site also suffered from landslides. Tourists from the US, Philippines, the UK, Thailand, and Turkey were on the mountain at the time the quake struck. Two people are still missing on the mountain, while hundreds of individuals are helping with the search. Meanwhile, Singapore and Malaysia announced a day of remembrance for the people killed in the quake. Singapore is mourning the loss of at least six children and their primary school teacher who had travelled to Mount Kinabalu for a school trip. One Japanese and one Chinese national were also killed. Meanwhile, local indigenous people have been blaming the disaster on a stunt by a group of tourists that took place on May 30. A total of ten tourists separated from their group and stripped naked on the mountain peak, taking pictures and posting them on social media. Malaysian police have only been able to identify five of the participants so far: Lindsey Petersen and Danielle Petersen, a Canadian brother and sister; Eleanor Hawrins and Dylan Thomas, two Dutch citizens; and Stephan Pohlner, a German citizen. State police commissioner Datuk Jalaluddin Hassan said that those tourists identified would be prohibited from leaving the country. “When the earthquake occurred it can be taken as confirmation of what the consequences would be when these people decided to bare it all on top of the mountain. We cannot play around with the spirits on our sacred mountain,” Deputy Chief Minister of Sabah, Tan Sri Joseph Pairin Kitingan told the Borneo Post. A spokesperson for the Canadian Ministry of Foreign Affairs, Nicolas Doire, confirmed that the two Canadians were not allowed to leave the country, adding that consular services are being offered to them. The Star was able to reach the stranded Canadians’ parents. Their father, Floyd Petersen, said he hadn’t been informed about his children’s fate, admitting that he hadn’t spoken to either one of them recently. He did confirm that the two had traveled to Malaysia and were scheduled to return in a couple of weeks. A local tribe is organizing an appeasement ceremony for the mountain in order to console the deeply offended spirits. The government has yet to decide on the date of the ceremony, Tourism, Culture and Environment Minister Datuk Seri Panglima Masidi Manjun told the Borneo Post. “Our priority now is on the search and rescue of the missing climbers. But it will be an inter-faith ceremony,” he said.